Yes, we all know the real, true Octoberfest is held every year in Germany...and what an event it truly is! But, it's funny that it's called Octoberfest because it's usually held at the end of September, and finishes in early October. In fact, this year's festivities officially ended last Sunday! 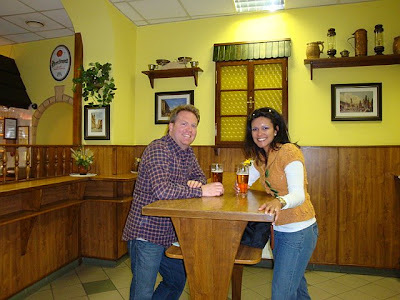 So, I did a little digging to find out where my New York jet setters could go for an Octoberfest celebration...in October...and closer to home than Germany...and I found something that I think sounds like a lot of fun! 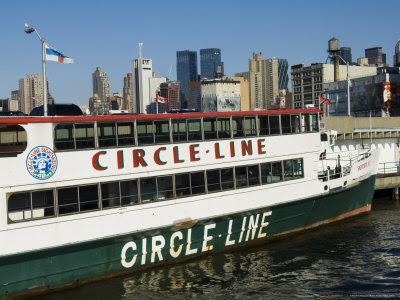 Circle-Line Sightseeing Cruise has an annual Octoberfest cruise that runs every weekend during the month of October! Basically, you hop on the boat from Pier 83 in Manhattan at 8:30am sharp and go for a 2-hour cruise up the Hudson River (enjoying beautiful scenery of fall foliage and views of the George Washington Bridge and other sites along the way) all the way up to Bear Mountain State Park. On the boat, you can buy all of the beer you want. Once you get to Bear Mountain State Park, the festivities really begin with German food, beer, and entertainment. You leave the park at 3:30pm for your 2-hour cruise back to Pier 83 which drops you off by 5:30pm. Ticket Prices are as follows: Adults ($49), Children ($30), and Senior Citizens ($40). What a great way to spend a weekend in October!! GET READY TO LAUGH YOUR HEAD OFF! GIADA & PAULA & BOBBY...OH MY!